As an indie or self-pubbed author, you have to promote yourself. You don’t have a publisher, or an editor, or a marketing team working for you. You will be the only one putting yourself forward to the world. And that takes guts. Now, if you are like me and most of the writers I know, you are an introvert. You don’t like to go to parties or talk to strangers, let alone promote yourself loudly and on a regular basis. You just want to go hide inside your stories. Sadly, I read an article recently that proposed that introverts shouldn’t even bother being indie writers, because we will inevitably fail without all those extrovert traits. But I don’t believe this is true. I believe that even an introvert can learn the skills needed to promote their writing without forsaking their personality, especially with the handy new tool we have at our disposal known as the internet (also known as “the introvert’s best friend”). The reason I believe this is because I have done it. But it isn’t easy and it takes a bit of practice and conditioning. When someone joins the military, they condition them at boot camp, breaking them down and building them back up over a concentrated time-period for their new role and environment. Well, I think I recently found the indie equivalent of boot camp- something called Kickstarter. Kickstarter is the world’s most popular crowdfunding site. It is a way to raise funds for creative projects. 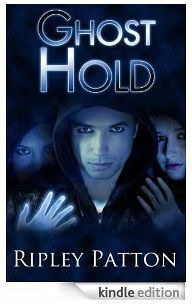 For example, I am currently running a Kickstarter to help publish my YA paranormal thriller, Ghost Hand. If you want a window into what it is going to be like to be your own publicist for life, I encourage you to try running a Kickstarter project. Just setting one up is a good lesson in marketing. What is your book’s selling point? What makes it different than all the other Kickstarter fiction projects? Is your cover appealing enough to snare people who don’t know you or your book? How do you promote your creative vision in a video and on-line presence? What is a reasonable price point? Oh, and don’t forget to include shipping and overhead costs in that price. But setting up your project is only the beginning of your boot camp experience. When your project begins, that is really what separates the recruits from the seasoned soldiers. You now have 30 days (or the time-frame you choose) to get in shape, because with Kickstarter you don’t get your funds unless you raise your entire goal. During that crazy 30-day run, you are going to get an idea of what being an indie writer is about. The part where you aren’t writing but are promoting and selling what you have written, a piece that is just as important as the writing because it is what pays the bills so you can keep writing. What does Kickstarter boot camp include? 1) Meta-Data Crunches – Here is where you get to play with various blurbs, excerpts, appeals, content and visuals to see what does or doesn’t sell your book. You can change things on your project daily if you want (except for your goal and time-frame). This is similar to what you can do on an e-book vender page, changing and testing your meta-data to see what draws buyers in and what doesn’t. 2) Internet Marketing Push-ups – Helps you discover what marketing tactics work best for you and your fan-base. Is it Facebook, Twitter, Tumblr, e-mail, blogging, website content, print and paper promotion, personal connection or some combination? What are you best at and what gets the most response? 3) Marketing Push Drill – Helps you learn how to do concentrated, time-specific marketing pushes and blog tours, like when preparing for a book launch. If you can keep up the energy and enthusiasm over the course of a Kickstarter project, you will know you can do it again when needed. 4) Fan Briefings – Helps you learn to compose regular, positive updates for your friends, family and fans about your work and its progress. Gives you a window into the importance of keeping your fans involved and engaged in your creative process. 5) Tactical Creative Promotions – Helps you learn to think outside the box for promotions, using everything from give-aways, rewards, swag, and contests. Challenges you to explore new ways to reach people with your product. 6) Goal-setting Platoon March – Gives you a specific goal to shoot for within a specific time frame, a good model to follow when coming up with future marketing plans and projects. 7) Bravery Training – Helps you learn to be bold about telling those around you what you do. During my Kickstarter, I have been carrying around project post cards that I give to people when the topic comes up. I do not hard sell my project, but I did sneak around my apartment complex slipping post cards under neighbor’s doors with a note that one of their neighbors had written a book. This is something that is way outside of my comfort zone, but I find myself growing in bravery daily. 8) Fan-base Formations – Helps you find out who your true fans are, and challenges you to seek new ones. Kickstarter causes you to ask the question, “Where else can I find people who want what I have written?” At some point in your Kickstarter project you may tap out your fan base, and you will have to get creative on how and where to connect with new readers you can carry forward to your next project and beyond. Think of Kickstarter as your own personal indie boot camp obstacle course. Something you can learn from and train on, and maybe even fail a few times at, but that will ultimately allow you to be a better writer/promoter of your own work when you finally hit those real trenches. Like this article and want to know EVEN MORE about Kickstarter? Read my blog post series: Crowdfunding: What it is and Why it Matters, Hands-On Kickstarter: 12 things I learned by building a project, Twelve things I bet you didn’t know about Kickstarter, Using Story to Drive Your Kickstarter, Keeping the Charity out of Kickstarter, and 8 reasons I didn’t back your Kickstarter. Good work Ripley. I’ve not tried the kickstarter angle yet. Maybe on my next book. But then I’d have to get it done 30 days before launch…argh. Never enough time.